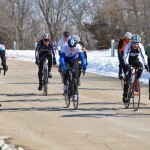 With temperatures warming up and the snow finally melting off, many riders took the opportunity to get some more early season racing in their legs. 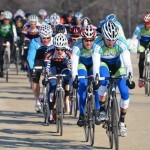 There were racing opportunities both Saturday and Sunday in Kansas. 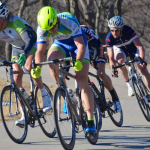 Saturday was the third installment of the 2014 Spring Fling Criterium Series in Lawrence, Kansas. 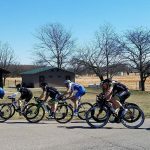 Saturday’s temps dipped a bit but many riders still braved the chilly conditions to get in some much-needed intensity.Well over 100 riders took part in the full day of criterium racing with some participating in multiple races. 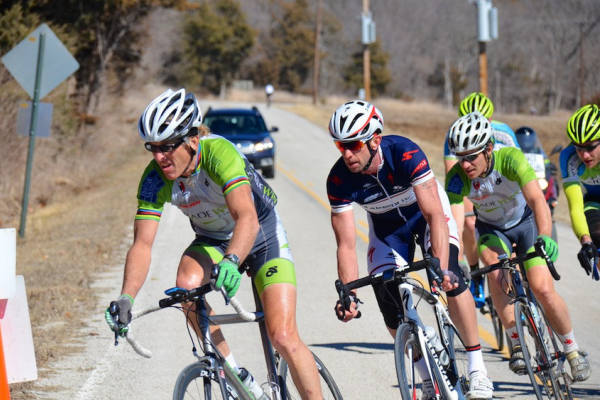 Sunday’s ALS Road Series opener took place at Perry Lake just north of Lawrence, KS. 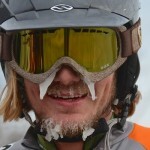 This weekend was supposed to be race #2 in the series but last week’s winter storm caused the cancellation of the first race and the shortening of the series from 3 to 2 races this year. Roger Harrison, the event promoter, was unwilling to move the 3rd race to a weekend that would conflict with other promoters so he graciously decided to shorten this year’s series. The ALS road series course is tough. It is usually wind-dominated from the north or south; the long, flat road leading across the dam is exposed to whatever nature decides to throw at the riders. Sunday’s riders lucked out with only a slight wind which gave the riders a cross-tail wind across the damn as well as up the hill to the finish. Each category had to circumnavigate the course several times, climbing the finishing climb multiple times before their final race to the top. The hill is always a leg-breaker at race pace.